Greer Twiss, Site Sight (detail), 1977. Photo courtesy of the artist. Auckland-based Greer Twiss is one of New Zealand’s most senior sculptors, who also made a very significant impact on generations of artists through his tertiary teaching over three decades. For Presence, a selection of works in bronze, galvanized steel and lead spanning the years 1965-1990 are presented. Smaller cast bronze works depicting athletes in motion, and protest figures engaged in marching and congregating will be shown. Large floor-based works invite viewers to consider the ambiguity of manmade objects and the traces of human interaction. Gallery Toi o Tāmaki. His work is included in all major public and many private collections in New Zealand including Auckland Art Gallery Toi o Tāmaki and Museum of New Zealand Te Papa Tongarewa. He is also represented in numerous international collections. Twiss has undertaken a number of large-scale commissioned works, including one of the largest and most important early contemporary public sculpture commissions, the large untitled bronze work for Karangahape Road commissioned by the Auckland City Council in 1968. He participated in the Sculpture Park developed for the Seoul Olympics in 1988. Inthe 1990s he completed a number of installation works exhibited in private sculpture collections and in major public galleries, and in 2004 made a large public work for the Auckland City Sculpture Trust, Flight Trainer for Albatross. His work features in publications on New Zealand art and sculpture, and a major monograph was published by Ron Sang in 2014. 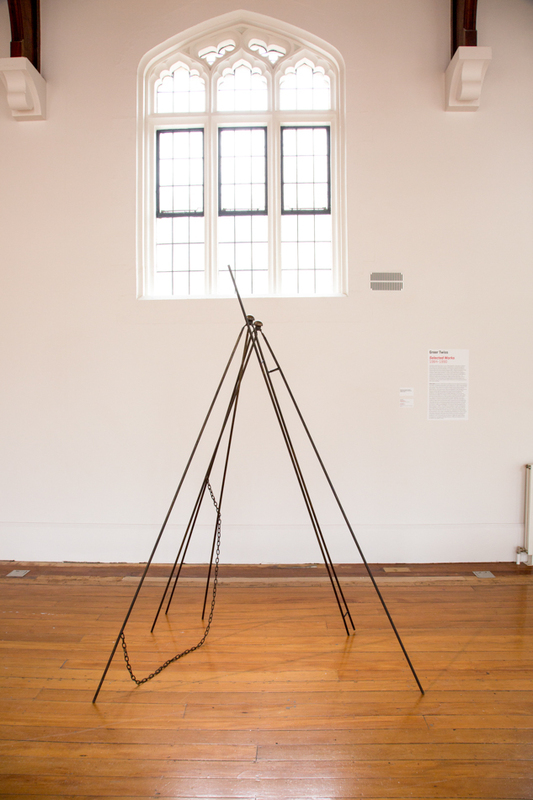 Twiss had a long career teaching at the University of Auckland, where he was an Associate Professor at the Elam School of Fine Arts, becoming Head of Sculpture in 1974. He retired from the school in 1998, was made an ONZM for Sculpture in the Queen's Birthday Honours in 2002 and received an Arts Foundation Icon Award in 2011.